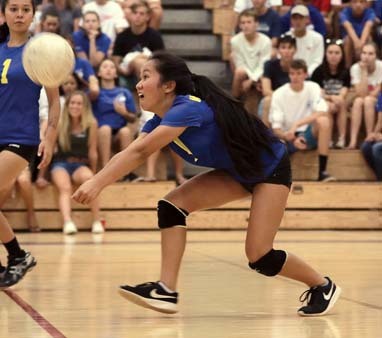 Isabel Bennett had 18 kills and Erica Pilotin added 14 as Seabury Hall beat Haleakala Waldorf 25-13, 25-10, 25-14 on Friday in a Maui Interscholastic League girls volleyball match at Erdman Athletic Center in Olinda. Pilotin also had five aces and four digs for the Spartans (9-0), who have won 61 of their last 66 league matches. Kiana Hyman had 32 assists, and Sydney Walker had four kills and three aces. Mileina Sniffen and Ramona Borchers each had three kills for the Rays (1-7). 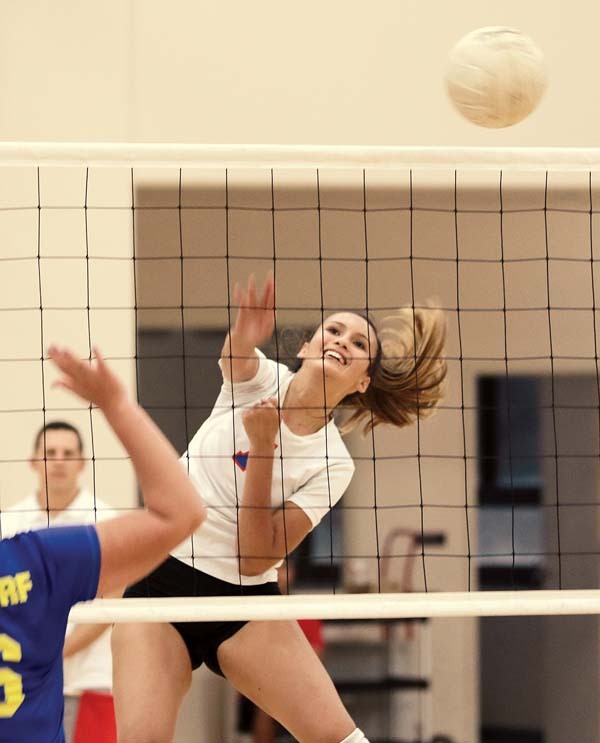 At Hoolehua, Shaelyn McCutcheon had 10 kills as Mo-won 25-13, 23-25, 25-8, 25-15. Mary Rose Ringor had 12 digs for the Farmers (5-4), and Mary Grace Ringor finished with 15 assists. Na Pueo (2-6) got 13 kills and 10 digs from Cassidy Otto. Rebecca Geng had five kills and Danielle Bergson had 20 assists. At Hana, Shya Roback had 13 kills and five aces in a 25-12, 25-14, 25-14 victory for the Dragons, who improved to 6-1. Hana’s Fushia Pua had nine kills, seven aces and block, Nohokula Lind had eight kills. Shaylee Roback had 19 assists, and Jadyn Hoopai had 14. The Pine Lasses fell to 3-3. Maui Prep at Molokai, 9 a.m.
Lanai at Hana, 10 a.m.
King Kekaulike at Kamehameha Maui, 6 p.m.
Maui Prep vs. Haleakala Waldorf at Paia Gym, 6 p.m.
Baldwin at Kamehameha Maui, 6 p.m.